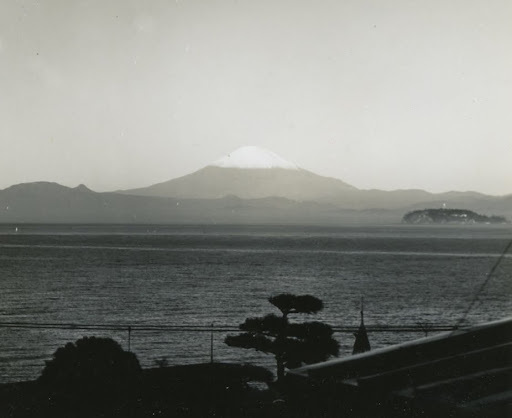 A view of Mount Fuji as seen from the house where we lived in Hayama. I recognize the spire at the bottom as part of the Hayama Marina (where we lived for a few months when we first arrived in Japan.) I think we lived in Hayama in 1968.